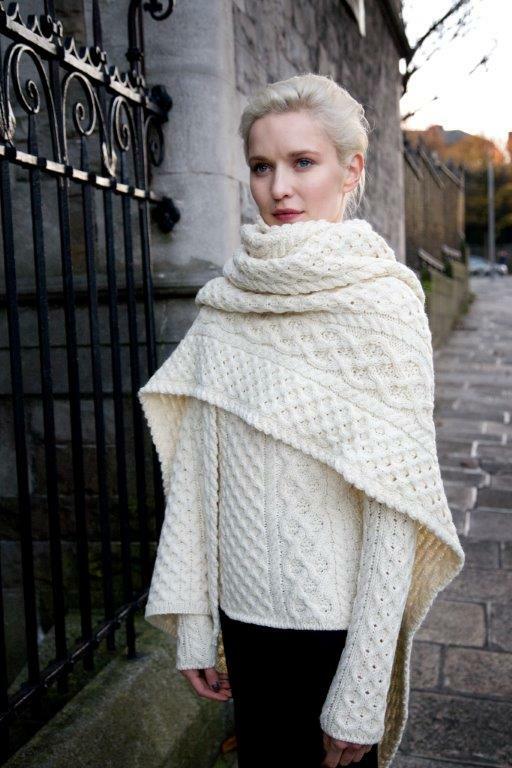 Nothing lasts like an Aran, made using 100% wool, it’s like being wrapped in a blanket! When taken care of they last for years, how many things in your wardrobe can you say that about? 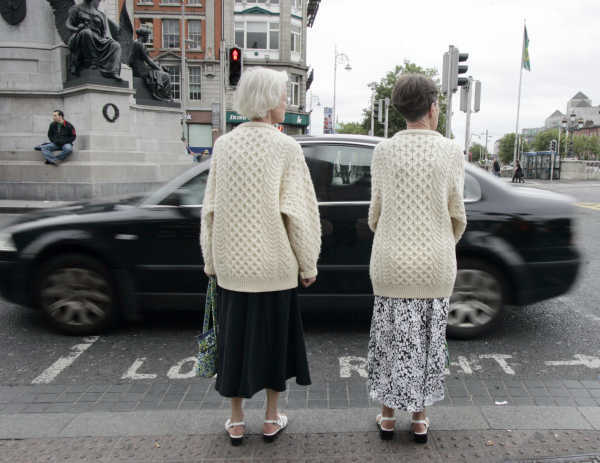 Whether you are 8, 18 or 80 years of age, you can wear an Aran. Kids tend to like the soft Merino Wool style, 18 year old Hipsters like the itchier the better, preferably second hand and a bit shabby and our more mature customer will wear either once it’s warm! The Irish love a story…. Each of your wondrous patterns mean something different. 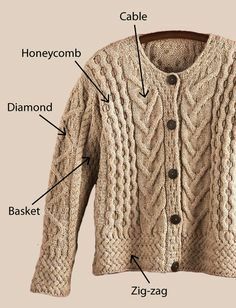 The honeycomb stitch pattern is symbolic of the hard-working bee. A cabled jumper is a wish for safety and good luck for a fisherman while at sea. The Diamond Stitch reflects the small fields of the islands. These diamonds are sometimes filled with Irish moss stitch, depicting the seaweed that was used to fertilise the barren fields and produce a good harvest. Arans make it to the catwalk quite often these days ….. 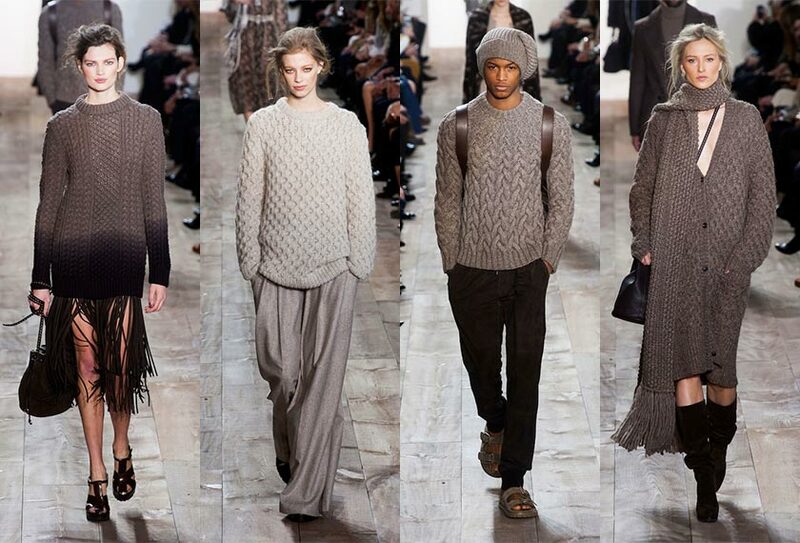 This Michael Kors Autumn Winter Collection last year, not a million miles away from Ireland’s Eye Knitwear our favourite Irish manufacturer! 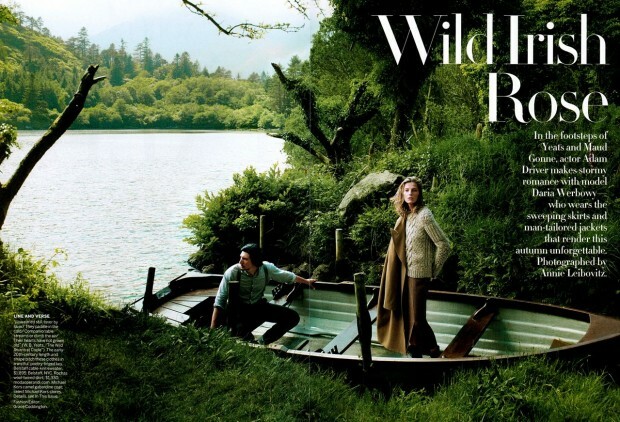 The Irish Aran Dublin style…..
A feature in Vogue last year, how amazing did Ireland look! Arans in the wilderness, we were only delighted with ourselves.